Claire Naidu & Co, Lawyers and Mediators are proud to be re-accredited this year as ACTsmart business recyclers! We are recognised as a business that is actively recycling and being environmentally responsible. We welcomes you to consider whether your worksplace is an accredited recycler. If not, and you want more information on how the Actsmart Business Recycling Program can work for your workplace you can email actsmartbusiness@act.gov.au or call Access Canberra on 13 22 81. If you would like to know who else is accredited? 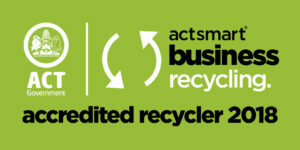 You can check out the Actsmart business accredited recyclers. Special thanks to Mariah from our office for all her assistance!